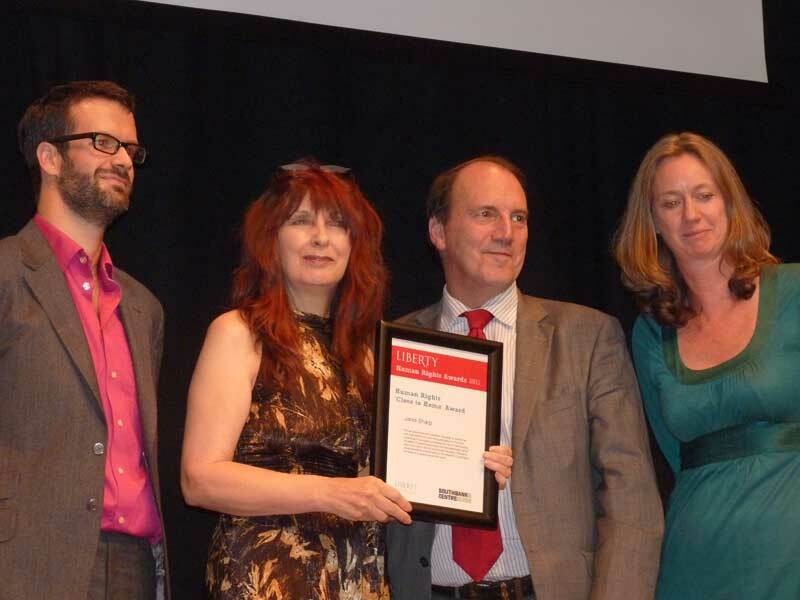 wins a Liberty Human Rights Award In London. She spoke to an Audience of Legal and Political luminaries including Dominic Grieve the Attorney General, Kenneth Clarke the Lord Chancellor Secretary of State for Justice, the Norwegian Ambassador and Captain Jean-Luc Picard ( Sir Patrick Stewart) of the Starship Enterprise. So not only was it a star studded audience it was inter galactic.
" her passionate and sustained campaign to protect her son, Gary McKinnon from facing extradition to the USA. Janis Sharp's campaign for fairness for her son has touched the hearts of parents everywhere and her determined call for Gary to be tried in the UK has brought the issue of Britains unjust extradition arrangements to the attention of politicians, the media and people around the world."